Well, I have GOOD NEWS for you -- every person at some point in their life has experienced what you experience RIGHT NOW! YOU are NOT ALONE! The best of it all -- FATHER YHWH that CREATED you and “PUT YOU TOGETHER” in your mother’s womb (Ps 139). He LOVES and ACCEPTS you just as you are, NO MATTER WHAT YOU HAVE DONE OR HAVEN’T DONE! He HAS ALWAYS LOVED you UNCONDITIONALLY, even when others have rejected & hurt you and said hurtful things about you behind your back. Our FATHER will NEVER HURT or DISAPPOINT you as people have. He ALWAYS has your best interest at heart--He does not LIE, He is always and in every situation HONEST, LOVING, KIND, COMPASSIONATE, PURE and TENDER-HEARTED. He rejoices over you. He desires to be your perfect FATHER -- One that will love and care for you all the days of your life. People have proven to you that they cannot always be there for you and that they are imperfect, yet our HEAVENLY FATHER is PERFECT in every way! Since our birth, all of us have been molded through tradition, religion, culture and doctrines of man. Our lives are thus governed by the specific value and belief systems that we were taught and that we adopted. As we grow older and start discovering the TRUTH according to the incorruptible Word of FATHER YHWH, we discover that we have been misled in some areas. We should allow the Ruwach (Spirit) of YHWH to completely RENEW our MINDS and CHANGE our HEARTS to be conformed to the Word of FATHER YHWH and the likeness and image of our Messiah Yahusha (Authentic Scriptural Name given to Him by the Father)! 2Qorin'tiyim (Cor) 7:11 For see how you have been saddened according to Elohim – how much it worked out in you eagerness; indeed, clearing of yourselves; indeed, displeasure; indeed, fear; indeed, longing; indeed, ardour; indeed, righting of wrong! In every way you proved yourselves to be clear in the matter. Ma'aseh (Acts) 10:38 how Elohim did anoint Yahusha of Natsareth with the Set-apart Spirit and with power, who went about doing good and healing all who were oppressed by the devil, for Elohim was with Him. 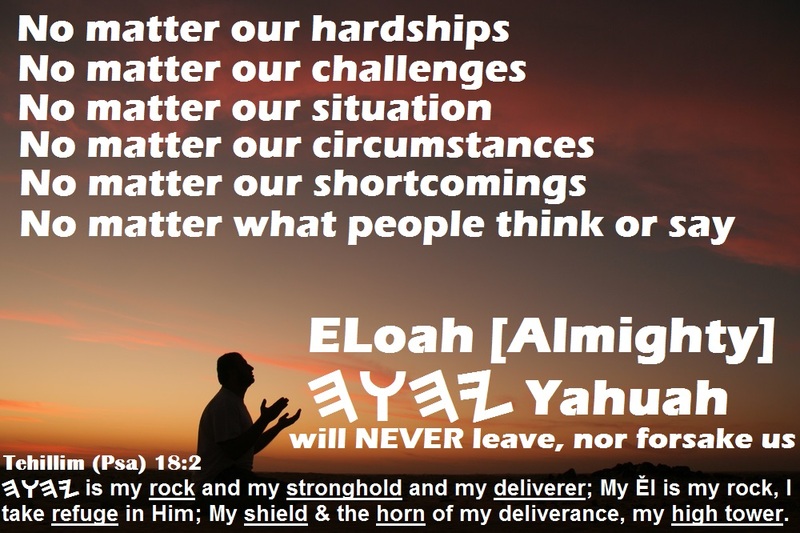 2Qorin'tiyim 5:18 And all matters are from Elohim, who has restored us to favour with Himself through Yahusha Messiah, and has given us the service of restoration to favour. Qolasim (Colossians) 1:22 in the body of His flesh through death, to present you set-apart, and blameless, and unreprovable before Him. Tehillim (Psalms) 147:3 He heals the broken-hearted And binds up their wounds. The ALMIGHTY'S Name is NOT "Lord" or "God" and our Messiah's Name is NOT "Jesus" as explained on the homepage of this website. Please bear that in mind as you watch the video clips. Thank you! because whatever has been BORN of Elohim OVERCOMES (CONQUERS) the WORLD. 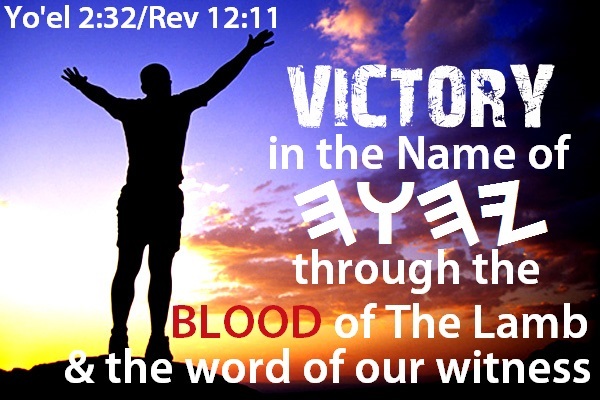 This is the VICTORY that has conquered the world: our BELIEF (FAITH). For this you know, that no one who whores, nor unclean one, nor one greedy of gain, who is an idolater, has any inheritance in the reign of Messiah and Elohim. Let no one deceive you with empty words, for because of these the wrath of Elohim comes upon the sons of disobedience. Therefore do not become partakers with them. For you were once darkness, but now you are light in the Master. Walk as children of light, for the fruit of the Spirit is in all goodness, and righteousness, and truth proving what is well-pleasing to the Master. And have no fellowship with the fruitless works of darkness, but rather reprove (expose) them. an ENSLAVED VICTIM of satan and his kingdom of darkness? 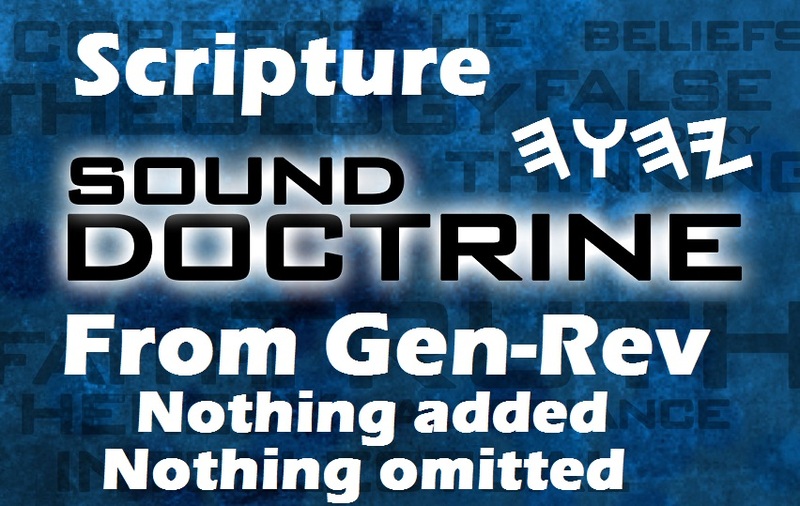 Identity and Position in Father YaHUaH through Messiah Yahusha (Authentic Scriptural Name)!